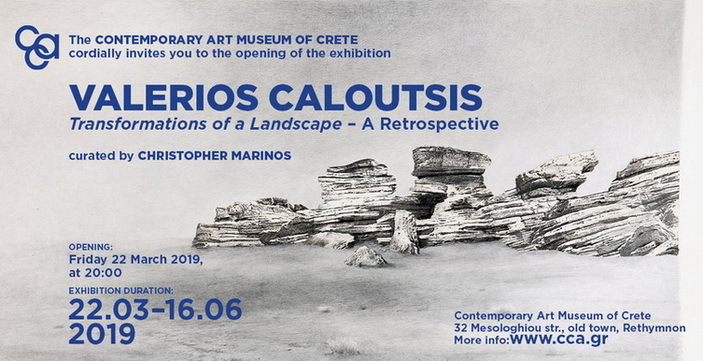 The retrospective exhibition: 'Tranformations of a Landscape', by Valerios Caloutsis, will open on Friday, 22of March at the Contemporary Art Museum of Crete, (32 Mesologhiou str., Rethymno)! The exhibition will last till the 16th of June, 2019. 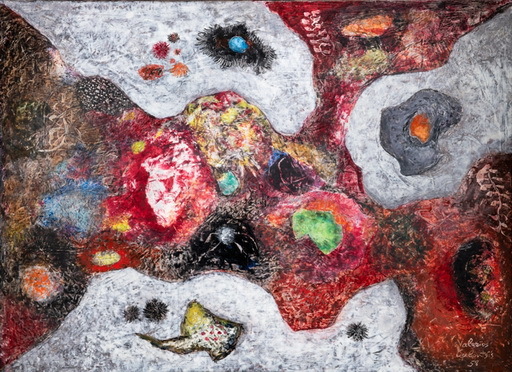 Valerios Caloutsis, (1927-2014) was among the first Greek artists to delve into the question of environmental degradation. A lover of nature with a profound environmental conscience presented through his artworks a romantic contemplation of Cretan nature. Various media (painting, kinetic works, drawing, collage), have been used for the above-mentioned artworks. Mountains and the sea, the movement and glow of light, the multiple aspects of human communication, the idea of artificial nature, the incessant changes of a landscape through geological transformations as well as the aerial views and relief renderings of a location are some of the subjects he tackled in his multifaceted work. The exhibition is curated by art historian Christopher Marinos. It features over 120 works, from the early 1950s to the late 2000s. The Municipal Gallery ‘L. Kanakakis' was founded in 1992. It is housed in a Venetian building at the old city centre of Rethymno, below the Fortezza fortress and the Archaeological Museum. 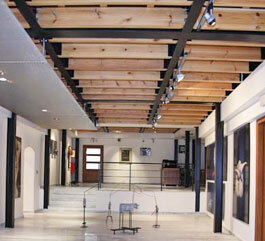 Its permanent collection includes paintings of Leuteris Kanakakis (oil, drawings, aquarelles) covering all his work. The work of various contemporary artists is also presented, depicting a wide spectrum of the Greek modern art since the 1950's. In 1995, Rethymno became part of the National Cultural Urban Network and, as a result, the Centre of Contemporary Art was founded. The Centre of Contemporary Art organizes periodic exhibitions of local, national and international interest, in collaboration with many organizations in Greece and abroad. All events are accompanied by parallel activities (lectures, educational projects, seminars etc). The Gallery's activities include the printing of catalogues and other publications of educational or informational character. Since 1995, art workshops are organized with the support of the Gallery.